We’ve all experienced a near miss while driving through a crowded intersection, as speeding cars blast by one another just inches apart. But once autonomous vehicles replace today’s cars, near misses in the nation’s 300,000 or so signalized intersections won’t be near-mishaps. They’ll be carefully orchestrated movements under the control of computers tasked with getting passengers to their destinations as swiftly and as safely as possible. Forget sweaty palms and a racing heart as you thread your way through traffic. You won’t even look up from your computer as you’re piloted across intersections — perhaps at speeds approaching 150 miles per hour. The systems that will choreograph this high-speed traffic ballet are in development, but scientists now envision at least two possibilities. One is a “multi-agent” system crafted by Peter Stone, professor of computer science at the University of Texas at Austin. Dubbed Automated Intersection Management (AIM), this system would rely on a computer at each intersection to grant access to vehicles in order for them to pass through to the other side. As autonomous vehicles approach the crossroads, they would radio the intersection’s computer to let it know a car is on the way, and then radio again to reserve its entrance, space, and time in the intersection. The computer would instantly analyze each vehicle’s position, speed, and size relative to other cars coming from all directions and simulate all possible paths of the vehicles. If no potential collisions were spotted, the cars would all be permitted to continue through the intersection without impediment. But if AIM determined that two or more vehicles were on a collision course, the intersection’s computer would allow only some cars to pass unimpeded while requiring others to slow and wait their turns to enter the intersection. Stone believes AIM or some other multi-agent system would be the best approach to the intersection problem. But other experts have different ideas. Dr. Carlo Ratti, director of the Senseable City Lab at MIT, thinks a better approach would be to link all the cars to one cloud-based program that coordinates their movements. Ratti’s team has developed Light Traffic, a so-called “slot-based” intersection design in which all cars are linked to centralized program (think air traffic control) that sets their speeds and movements to synchronize traffic and create openings for other vehicles as they enter the grid. 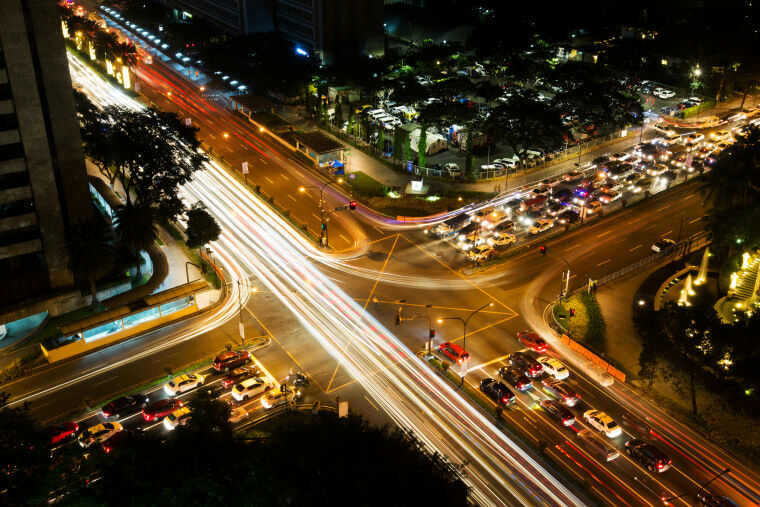 With Light Traffic, cars change pace constantly, much like human drivers do, to allow new vehicles to slide into their predetermined places in the line just as it’s made available. Seen from above, it’s a waltz reminiscent of the autonomous vehicles in Minority Report. “It allows to take advantage of the fact that driverless cars are robots, which are able to synchronize with each other,” Ratti says. The two approaches still leave many questions to be answered — including how they would accommodate pedestrians and cyclists, motorcycles and non-autonomous cars. But no matter what, it seems that intersections — where a quarter of all driving accidents and a third of all driving fatalities occur each year — would be much less treacherous to navigate.